So this is what I'm talking about. See the rear tire and how its back a bit from center. 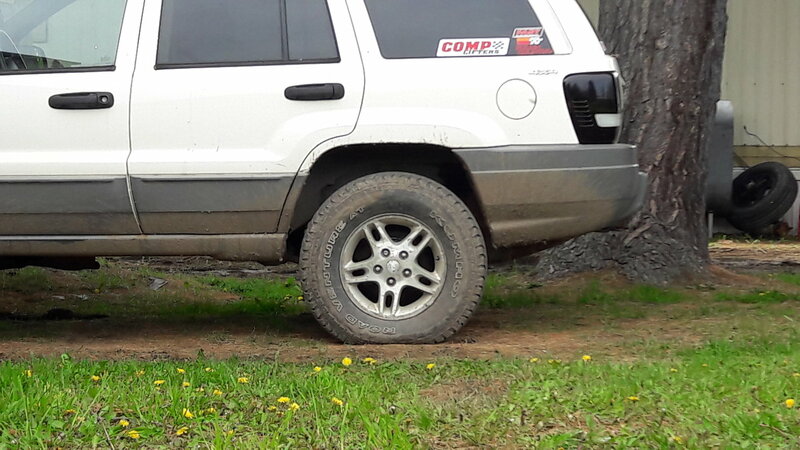 Now ,I looked at the control arms and the top has no more adjustment inward, the lowers do, but at the moment the axle is sitting level with the ground. If i was to adjust the lower it would pitch upward. Update on this is that I ended up with no advice here so i called iron rock and the guy told me based on my description of the way it's set up...to take the retainer nut off the upper and move it to the inside of the upper control arm so I have the extra space to thread it in hence centering the rear without pitching my dif upwards.